A communication plan is a tool that ensures that the all the information related to the project is communicated to the stakeholders. Communication plan is important in a project mainly because it provides the channels required for communicating information associated with the stakeholders of the project . With the easy availability of the information, the senior managers of the organization can involve in easier decision making process. Country Health Department have planned to implement an integrated public health information system in order to ensure that the infectious diseases are reported as soon as possible. This is a complex project and therefore presence of a communication plan to disperse the required information is necessary. For that, the project team has developed a communication plan in order to avoid the possible communication breakdown. The report will be evaluating the effectiveness of the communication plan that is developed. This section of the report will be evaluating the effectiveness of the communication plan and will examine the current communication plan considering the different business management practises. Certain recommendations will be provided as well suggesting the improvements in the current communication plan of the project. The project team has developed a communication plan in order to ensure that appropriate correspondence among the team members to avoid communication breakdown among the team members . On evaluation of the current communication plan that is developed for the project, it is observed that the communication plan that is developed follows a structured approach. This is mainly because the communication plan that is developed previously for the same project was ineffective and did not work according to the plan. The communication plan that was developed did not serve its purpose and lack of normal communication among the stakeholders. The current communication plan is standard and effective. However, there are certain issues associated with the current communication plan as well. The current communication plan that is developed is quite complex which is a major drawback of the project. The complexity in the given communication plan arises mainly because of fact that all the stakeholders will be participating in information delivery and updating a status report. The communication plan should be simple so that each stakeholder associated with the project has a clear idea of what information to be expected. Furthermore, there is no specific communication medium and this could create a problem regarding which communication method is needed to be used. However, the communication plan mentions the specific communication format that is needed to be followed which will be significantly helpful for carrying out communication among the stakeholders . Thus it can be said that this current communication plan that is developed for the project can be improved in a number of aspects. The communication plan is further assessed on basis of the current project management practises so that the improvements in the current communication process can be suggested. One of the significant project management practise associated with the project is tracking and reporting the progress of the project. Having an accurate knowledge about the progress of the project is needed for effective decision making. A communication plan is generally prepared to ensure that the project progress information is delivered to the team members. It is the responsibility of the team members as well to ensure that the project progress is correctly communicated . The communication plan that is developed for this project, involves all the stakeholders and their responsibilities. The responsibilities of the project team members should be clearly defined in the communication plan. Proper allocation of the responsibilities to the team members will ensure an effective communication plan. Project Planning is one of the most significant considerations in project management practises. Planning stage ensures that the deliverables of the project are correctly met in the implementation stage of the project. The project management practises recommends the development of the communication plan in the resource planning state of the project so that it can be followed throughput the implementation of the project. Therefore it can be said that the communication plan that is developed for the project can be improved in a number of aspects. The existing communication plan of the project should be improved on basis of the identified loopholes. The communication plan that is developed for the projects in union, government agencies and the contractors are different in every aspect. The recommendations for different privately run projects are discussed in the following section. There are mainly three types of communication plan that is followed in a project. This includes mandatory communication, Informational communication and marketing communication. The type of communication plan that would be needed in a project that involves the presence of stakeholders from different sectors, as opposed to a private organization project will be the informational communication plan. An Informational communication plan is recommended since the said type of project involves stakeholders from different sectors including Unions, government agencies, contractors and so on. It is essential to keep these stakeholders information about the status and the progress of the project and therefore, this type of communication plan is recommended for the project . This communication plan will ensure that all the stakeholders associated with the project are kept informed about all the necessary information associated with an ongoing project. 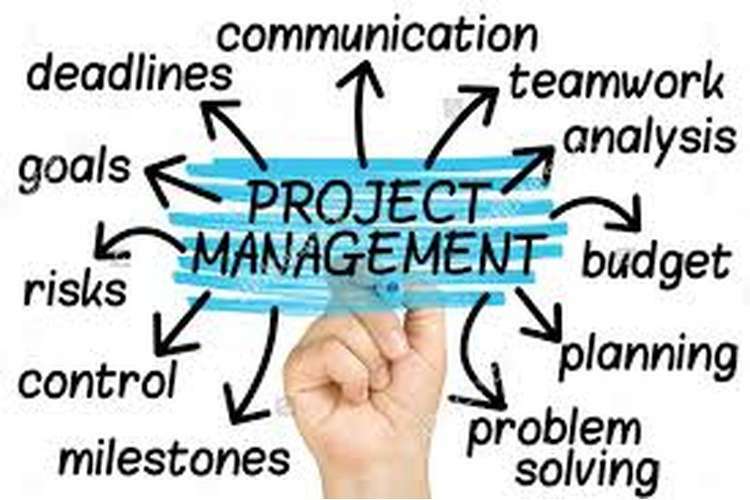 Project management and communication plan analyses a case study scenario that involves development of communication plan. Communication plan is an important aspect of the project management as it is the tool that keeps all the stakeholders of the project informed about the different issues and progress of the report. The report analyses the communication plan of Country Health Department project and identifies the issues associated with that communication plan. The report further gives recommendations on the type of communication plan that can be used in projects that are not associated with any private organization. It is being identified that informational communication plan would be perfect for projects that involve a number of stakeholders from union and government agencies. 1. Marchewka, Jack T. Information technology project management. John Wiley & Sons, 2014. 2. Kerzner, Harold, and Harold R. Kerzner. Project management: a systems approach to planning, scheduling, and controlling. John Wiley & Sons, 2017. 3. Szeberenyi, A. Project Communication Plan. No. AIDA-2020-MS4. 2015. 4. Heagney, Joseph. Fundamentals of project management. Amacom, 2016. 5. Heldman, Kim. PMP: project management professional exam study guide. John Wiley & Sons, 2018. 6. Kerzner, Harold. Project management metrics, KPIs, and dashboards: a guide to measuring and monitoring project performance. John Wiley & Sons, 2017. 7. Gutteling, Jan M., and Oene Wiegman. Exploring risk management. Vol. 8. Springer Science & Business Media, 2013. 8. Smith, Ronald D. Strategic planning for public relations. Routledge, 2013.